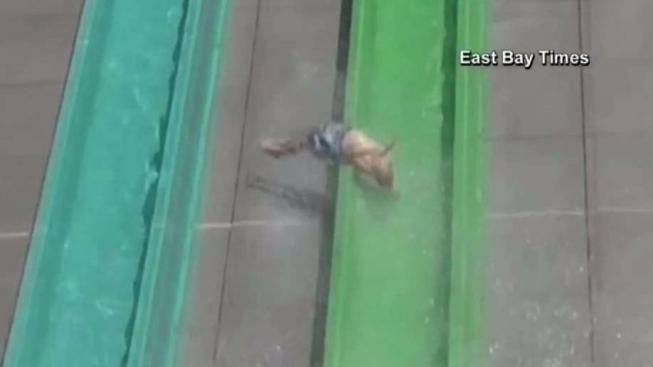 The parents of a 10-year-old boy injured in May after he was ejected from a Dublin waterslide are suing, according to the family's attorney. 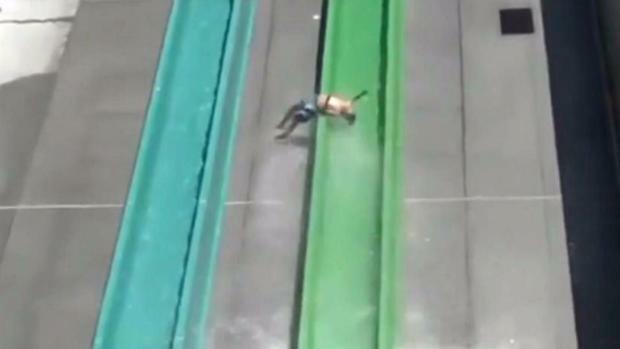 The boy was attending opening day of the Wave Water Park in Dublin on May 27, when he hydroplaned at the bottom of the Emerald Plunge, flew over the edge of the U-shaped slide and landed on a concrete barrier, the attorney said. The boy suffered scrapes on his back, shoulder, arms and legs. The lawsuit, which was announced Tuesday, names the city of Dublin and the manufacturer of the slide, WhiteWater Industries. The Emerald Plunge has remained closed since the incident because the manufacturer has yet to complete testing to Cal/OSHA’s satisfaction, a Cal/OSHA spokesperson said. The slide will not be opened to the public until the manufacturer and the Dublin water park can demonstrate that it can be operated safely, the agency said. "The City of Dublin continues to express its sympathy and concern for the 10-year-old boy that was injured on May 27, the opening day of The Emerald Plunge waterslide and The Wave Waterpark. "Immediately after the accident, the City took the appropriate action and closed the waterslide, and one other nearby, to review, check, and ensure safe operation. These slides have remained closed while the manufacturer performs additional safety testing. They will remain closed until state safety officials give their approval for the City to re-open and operate them again. "Prior to the opening of the park, the slides were tested and approved by the manufacturer and State of California safety regulators. "As to the legal action threatened, the City and its legal representatives have attempted to reach an amicable settlement with the family. However, the family lawyer has refused to provide any information about the family’s injuries that would be necessary to resolve the claim."